We’ve had a busy day today. Spent all day yesterday getting supplies for our projects. Today we did our projects. Kevin designed a tool for me to stamp our cling stamps with. I’m anxious to try it. He also had to re-seal the roof on the toy hauler. 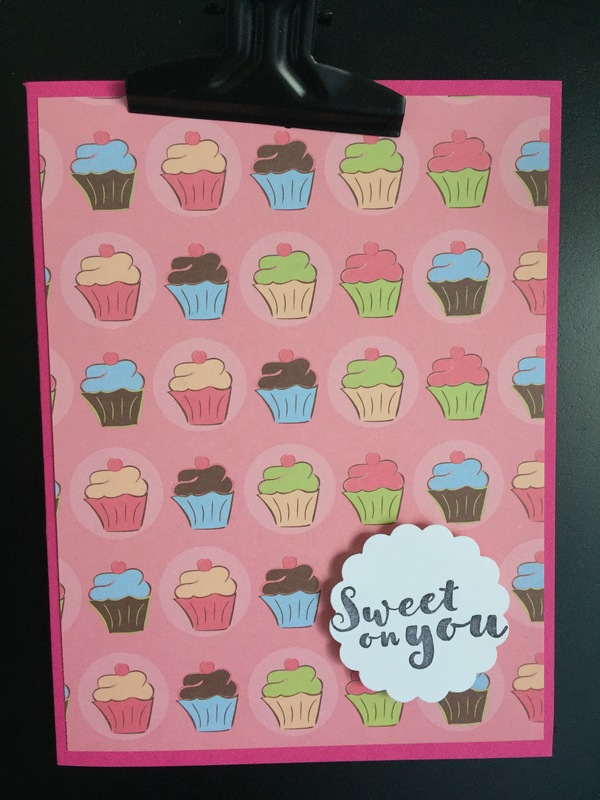 A simple card with pattern paper.